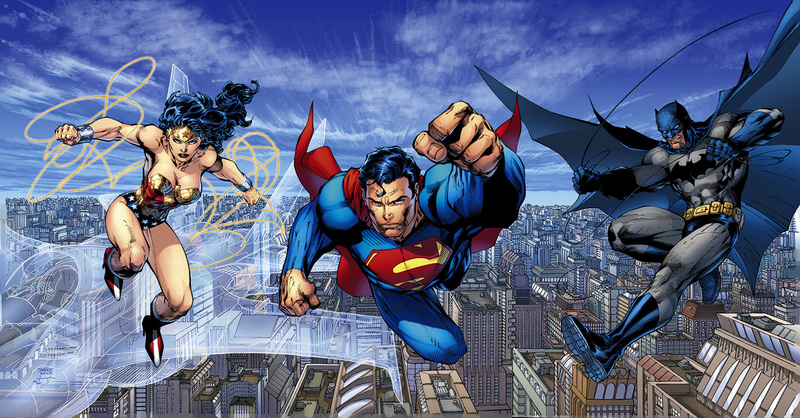 Taken from the popular DC series "Trinity", this piece features the three most popular DC heroes: Batman, Superman and Wonder Woman. Canvas artwork comes rolled or flat. If you are interested in having it stretched or gallery wrapped before being shipped, please contact the gallery. Each piece is signed by the artist, Jim Lee. Jim Lee (born August 11, 1964) is a Korean American comic book artist, writer, editor, and publisher. He entered the industry in 1987 as an artist for Marvel Comics, illustrating titles such as Alpha Flight and The Punisher War Journal, before gaining popularity on The Uncanny X-Men. X-Men No. 1, the 1991 spin-off series premiere that Lee penciled and co-wrote with Chris Claremont, remains the best-selling comic book of all time, according to Guinness World Records. In February 2010 Lee and Dan DiDio were named Co-Publishers of DC Comics by DC Entertainment President Diane Nelson. According to Lee, this does not indicate another move away from the creative side of comics, as his Co-Publishing duties grant him greater creative involvement in the entire DC line and allow him to illustrate titles, such as Dark Knight: Boy Wonder, a re-branded conclusion to the story he and Frank Miller began in All Star Batman & Robin, the Boy Wonder. He was to supply the painted art over Giuseppe Camuncoli's layouts in Batman: Europa #1, a 2011 miniseries inspired by Lee's time living in Italy, though as of June 2011, neither of these projects have materialized. According to a March 2013 article, DC insists that Europa is not cancelled. DC announced they were ending the Wildstorm imprint in September 2010. In September 2011, DC Comics instituted a program called The New 52, in which the publisher cancelled all of its superhero titles and relaunched 52 new series with No. 1 issues, wiping out most of the then-current continuity. Lee and writer Geoff Johns, DC Comics' Chief Creative Officer, are the architects of the relaunch, which was initiated with a new Justice League series, written and illustrated by Johns and Lee, respectively. 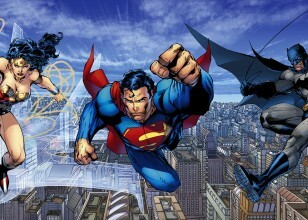 The series' first story arc was a new origin of the Justice League, which depicted the return of DC's primary superheroes to the team.